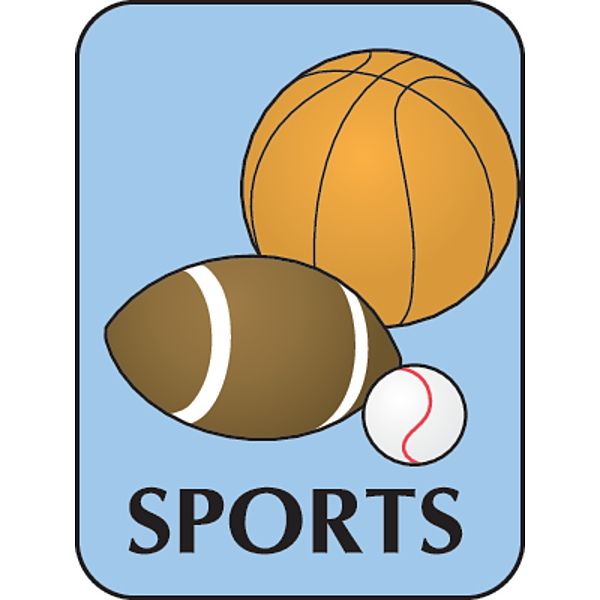 Sports books are either fictional or non-fictional stories about people, events and situations involving any type of sport. Patina, or Patty, runs like a flash. She runs for many reasons--to escape the taunts from the kids at the fancy-schmancy new school she's been sent to since she and her little sister had to stop living with their mom. She runs from the reason WHY she's not able to live with her "real" mom any more: her mom has The Sugar, and Patty is terrified that the disease that took her mom's legs will one day take her away forever. So Patty's also running for her mom, who can't. But can you ever really run away from any of this? As the stress builds up, it's building up a pretty bad attitude as well. Coach won't tolerate bad attitude. No day, no way. And now he wants Patty to run relay...where you have to depend on other people? How's she going to do THAT? As Travis starts ninth grade, he'll have to earn his teammates' trust and dodge opponents aiming to sack the star quarterback. But his biggest challenge might be staying focused in the face of sudden fame. Because now the pressure is on, and Travis has to prove himself with every pass. En la batalla por la Copa del Mundo 2014, un prodigio brasileño llamado Neymar llevará las esperanzas de su país. El delantero ya ha cautivado a los aficionados del fútbol con sus habilidades deslumbrantes, dejando espacio para una sola pregunta: ¿cuál es su límite? Since their breakthrough championship season in 1923, when Yankee stadium opened, the New York Yankees have been baseball's most successful, decorated, and colorful franchise. Home to Ruth, Gehrig, DiMaggio, Berra, Mantle, Jackson, and Mattingly; and later Torre, Jeter, Rivera, and Rodriguez, the team has been a fixture in our national consciousness. The Boston Celtic front line of Larry Bird, Kevin McHale, and Robert Parish dominated the National Basketball Association with three championships in five years in the early 1980s. May, a veteran Celtic beat reporter, examines each player's career from youth through college and into their NBA years. I'm on top of the world," shouted NBA Defensive Player of the Year Kevin Garnett, after the Boston Celtics clinched their league-leading 17th NBA championship over their archrival, the Kobe Bryant-led Los Angeles Lakers. In Top of the World , Peter May chronicles the remarkable 2008 championship run of the team in green--their first in over twenty years. With the greatest single-season turnaround in NBA history, the Celtics went from the second-worst record last year to the best record this year. May charts the pivotal moments: from losing out on the Number 1 and Number 2 pick in last year's draft lottery to swinging trades for future Hall of Famers Kevin Garnett and Ray Allen; from winning Game 4 of the Finals with oneof the greatest come-from-behind victories in NBA Finals history to capping off their remarkable season with another championship banner. When Wallace makes a bet against Bunny, Nasir is faced with an impossible decision--maybe a dangerous one. It is every baseball kid's dream summer job: batboy for your hometown Major League team. Yet for fourteen year-old Brian, the job means more than just the chance to hang around his idols. Baseball was the job his father loved so much, in the end he couldn't leave it. Yet he could leave his family. Now Brian sees the job as the way to win back his father. There is no winning back some people, though. Just ask Hank Bishop?once the most popular player in baseball before he was banned for using steroids. Now he is making his comeback. And an unlikely friendship slowly develops between this man in need of a family and this boy in need of a father. Mike Lupica, king of the sports novel, delivers his most powerful and kid-friendly to date. Christmas, 1977 and an on-court fight breaks out between the Houston Rockets and the LA Lakers. Rudy Tomjanovitch races to break it up and is met by Kermit Washington's fist, delivering one of the worst punches ever seen in sport. Basketball was changed for ever. Tomjanovitch was a Rockets all-star, 6'7 and white. The punch dislodged his skull from his head, leaving him needing years of surgery and therapy. Washington was an average player for the Lakers, 6'8 and one of six athletes in the history of the NCAA to be both an academic all-American and a basketball all-American. By all accounts an exemplary man - until the split-second in which he threw his arm forward and devastated his reputation. The fact that Washington is black hasn't helped his treatment in the press or public opinion and no team in the NBA will hire him as a coach. Meanwhile, Tomjanovitch is head coach of the Rockets and the US Olympic team. drastic response by the NBA, the conspiracy theories about the fight's origins and a story of how one man's mistake has haunted two good men for their entire adult lives. The football star made famous in the hit film "The Blind Side" reflects on how far he has come from the circumstances of his youth. While many people are now familiar with Oher's amazing journey, this is the first time he shares his story in his own words. It ought to be just a game, but basketball on the playgrounds of Coney Island is much more than that — for many young men it represents their only hope of escape from a life of crime, poverty, and despair. In The Last Shot, Darcy Frey chronicles the aspirations of four of the neighborhood’s most promising players. What they have going for them is athletic talent, grace, and years of dedication. But working against them are woefully inadequate schooling, family circumstances that are often desperate, and the slick, brutal world of college athletic recruitment. Incisively and compassionately written, The Last Shot introduces us to unforgettable characters and takes us into their world with an intimacy seldom seen in contemporary journalism. The result is a startling and poignant expose of inner-city life and the big business of college basketball. Drawing from more than 250 interviews to take the first full measure of the Lakers' epic Showtime era, this spectacular account of one of America's greatest sports sagas is jam-packed with colorful characters, vicious rivalries and 1980s-style excess.